My star kit. 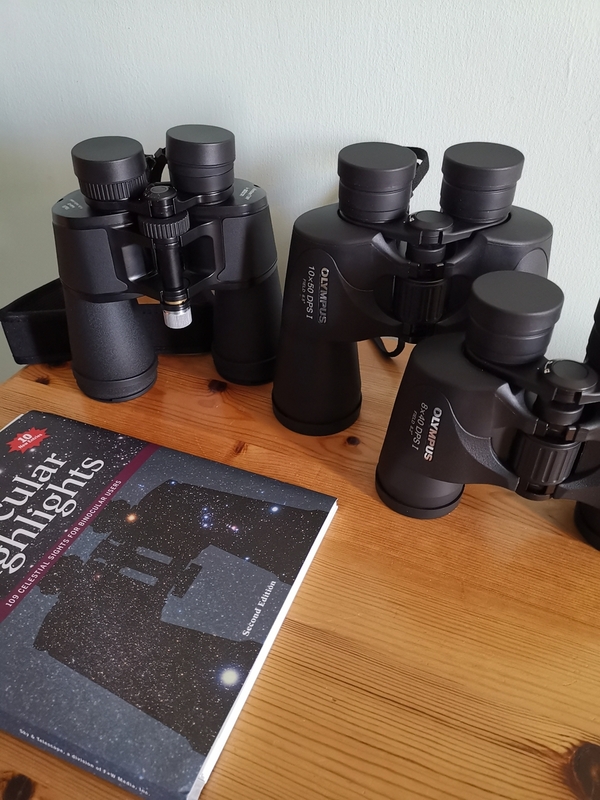 Two 10x50's - Opticron Adventurer T WP with tripod mount, and Olympus DPS-I. Also a pair of DPS in 8x40 .